The largest Chinese bank today announced that it had signed two agreements to provide Egyptian banks with loans for foreign enterprise and investment. The monies from the China Development Bank include a $40-million loan to Egypt’s SAIBANK and the equivalent of $40 million in the Chinese yuan currency for infrastructure construction. The deal with the second bank, Banque Misr, also revolves around a loan in the Chinese yuan. However, the amount has not yet been determined. The bank-to-bank cooperation comes less than two weeks after President Abdel-Fattah El-Sisi returned to Egypt following his participation at the 9th annual BRICS Summit in Xiamen, China. 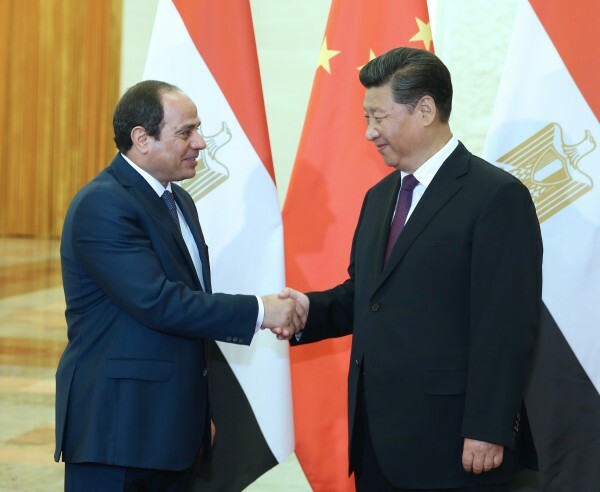 El-Sisi met with Chinese President Xi Jinping on the sidelines of the Dialogue of Emerging Market and Developing Countries meeting. Xi pledged China’s support for Egypt including helping the North African nation boost development as part of a comprehensive strategic partnership.